Home | News | Does Newfrontiers Still Exist? As one of the few remaining staff members of Newfrontiers (I’m the Communications Manager) I often get asked – in surprise – whether Newfrontiers still exists, and if so what it is and what it does. After a season of establishing their spheres and working through what God has called each of them specifically to, the apostolic leaders have grown, if anything, more united. They still meet together regularly, sometimes as UK leaders and sometimes in international groupings, to support, encourage and pray for one another. There is a really wonderful sense of unity and partnership together. They have a recognition that each has a slightly different focus and emphasis, but that they are a ‘band of brothers’, with a deep, familial commitment to one another. You may not get to be at their gatherings, but watch their twitter feeds during and after them – there’s a wonderful sense of joy and mutual encouragement there. Alongside the apostolic leaders is a team of men and women who put the vision into practice. 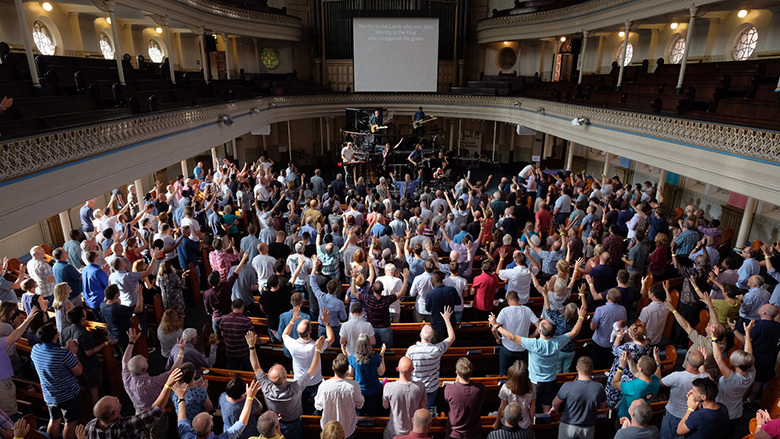 For the past couple of years, the UK-based ones have been meeting twice a year to pool ideas, pick each other’s brains, and generally work together in a way similar to the apostolic leaders. And they have kindly invited me to join the group. This is incredibly helpful, as I normally work from home and often don’t see an apostle from one year to the next (and when I do they all come along at once – see point 3). It helps me stay in touch with the big picture, and to hear in more detail what is going on in their parts of the world. Church planting, conferences, salvations, baptisms… there’s a lot of really good stuff happening across our family of families. In July last year Westminster Chapel in central London hosted the first UK-wide Newfrontiers gathering since 2011. All the apostolic leaders came together with church leaders from across the UK spheres for a day of united prayer for our nation. You can read Steve Tibbert’s update on it here. – We now have 22 apostolic leaders across the world? See how many you recognise. – The website has a ‘news’ section which is updated semi-regularly with news from around the spheres. – There’s a twitter list of all the tweeting apostolic leaders, their spheres and their spheres’ events? Subscribe to the list on twitter to see what everyone is getting up to. So, in case anyone asks you, yes, Newfrontiers does still exist, and it’s thriving.